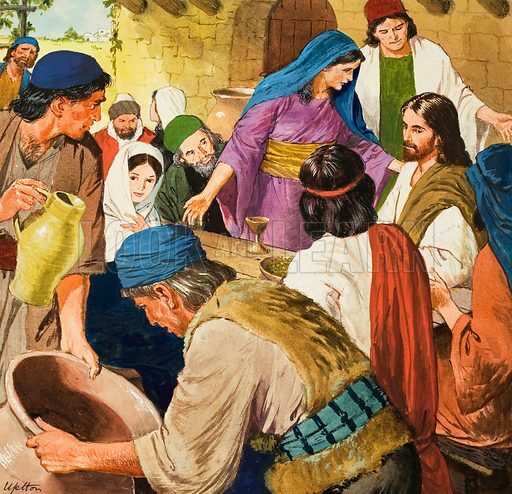 The Miracles of Jesus: The water is changed to wine. Original artwork for illustration on p9 of Treasure issue no 163. Lent for scanning by The Gallery of Illustration. Available worldwide for immediate download up to 4,072 x 3,929 pixels.